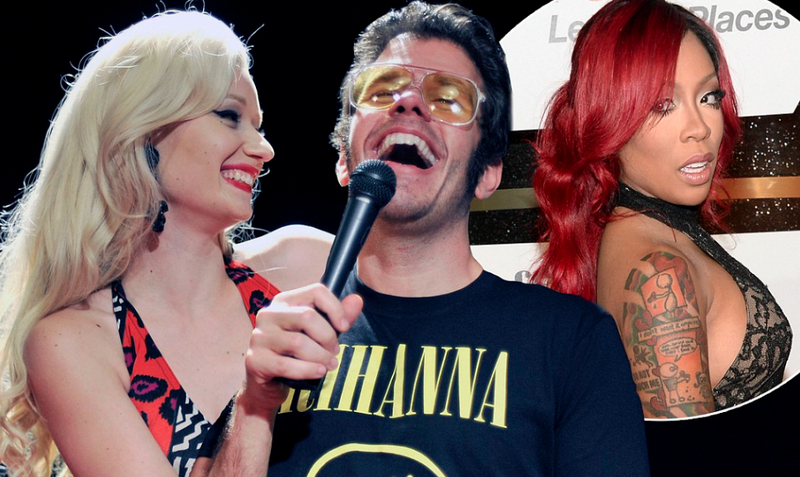 Gossip blogger Perez Hilton defends rapper Iggy Azalea from singer R&B singer K. Michelle. A US singer has fired off at Australian star Iggy Azalea, for daring to rap like an American despite being “from another country”. The rant by Tennessee-born K Michelle inspired celerity gossip columnist Perez Hilton to dive in to the Aussie artist’s defence — sparking a Twitter duel with the “offended” K-Mich.
Azalea’s single Fancy is currently no 2 on the Billboard Hot 100 chart. Hilton and Michelle went head to head from there. Azalea, wisely, stayed out of it. Yep that damn phony - rappin like she reps Black poeple and we all know how racist Australia is towards Blacks and people with black skin. As for Princess of course he is going to side with his white partner - he is just as racists!! Pathetci little people! Everybody better make a point to disown this rap imposter!!! I don't mind Iggy. Any female making noise in this misogynistic, male dominated "hip hop" world is OK with me. Chicks love to tear eachother down. Why even comment on her accent K. Michelle? Everybody in the industry is phony in some way. Live and let live. Perez is a white racist cuban who loves and defends Paris Hilton another known racist. This is not surprise he is doing what I expected him to do. Izzy is a no talent hack. The only reason she is getting so much hype is becasue she is white making a failed attempt of being black. I know some undground female rappers that would eat her alive.